I will try to figure out how to upload the interview I did with him in April 2009, once I have access to good internet. Umar IBN’s obituary “Cikakken Tahirin Marigayi Rabilu Musa Dan Ibro” on Kannywood Exclusive. Rest in peace, Rabilu Musa. 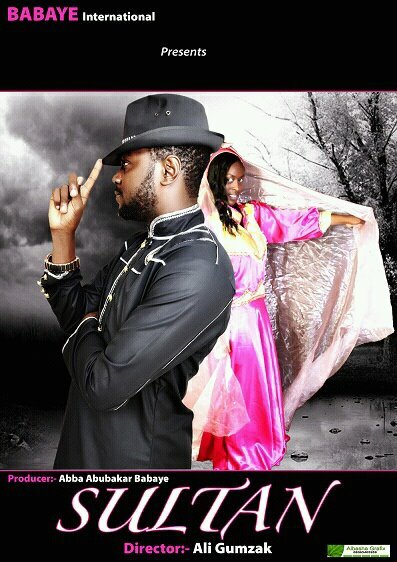 May Ibro live on. Allah ya jikansa. Allah ya sa shi huta. Allah ya ba mu hakuri. 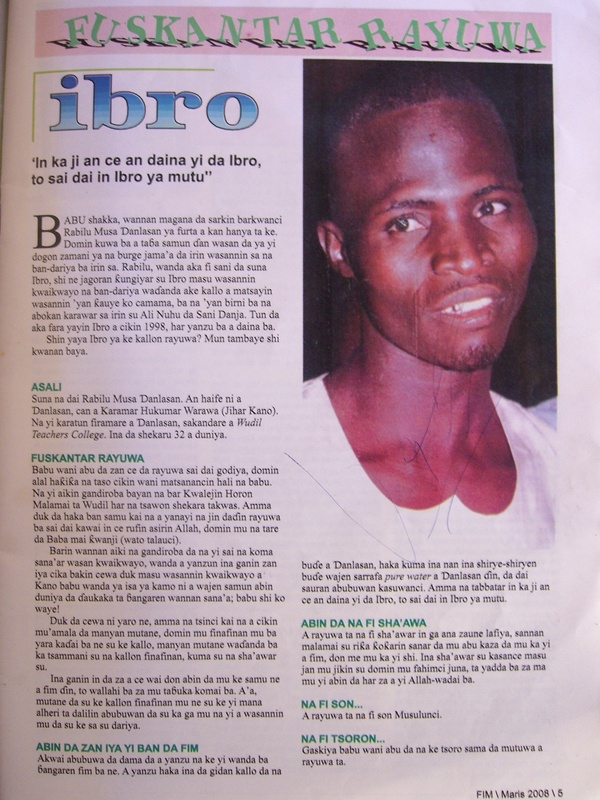 “If you hear that Ibro is no longer performing, it’s because Ibro is dead.” -Rabilu Musa, March 2008, Rest in peace, Ibro. This morning, I yielded to the temptation to go onto Facebook before starting my work. I found waiting for me a private message from a friend telling me that Rabilu Musa aka ‘Dan Ibro, the most famous comedian and perhaps the most famous actor in the Hausa film industry, had just passed away. (BBC, Premium Times, RFI). He was only in his forties. Inna Lillahi wa inna ilaihi raji’un. It is a gutting loss to the industry and to millions of people all over northern Nigeria, who laughed at Ibro’s antics even as the bombs were exploding around them. I’ve been gone from this blog since June, since even before then, really, as I tried to reduce distractions to a bare minimum while I pushed out the PhD. I kept up with the column at Weekly Trust until August. A week before my revisions were due, I desperately asked my editor for a month break, which he graciously granted me. I finished the PhD and then just kind of collapsed. I had been taking two days and an all nighter every week trying to write my weekly column. I had written throughout the last four years of my PhD programme, even through the defense. But with the kidnap of the Chibok girls and ever more atrocities coming out of the northeast, sometimes venturing further West, I felt like I couldn’t write about anything else. How can you write about novels and movies and walks in pretty American parks when ethnic cleansing is going on—when perhaps some of your readers have been killed in the violence? My one-month break turned into many months. I got busy applying for academic jobs and going to conferences and travelling back and forth to Nigeria. I pushed away thoughts of the column. I couldn’t handle the thought of having one more deadline every week or of having to write anything else while people were being murdered and bombs were going off. survive. We shouldn’t allow Boko Haram or any other threat to take laughter and story and song away from us. During the Jos crisis of 2008, dozens of people sought refuge in our house. 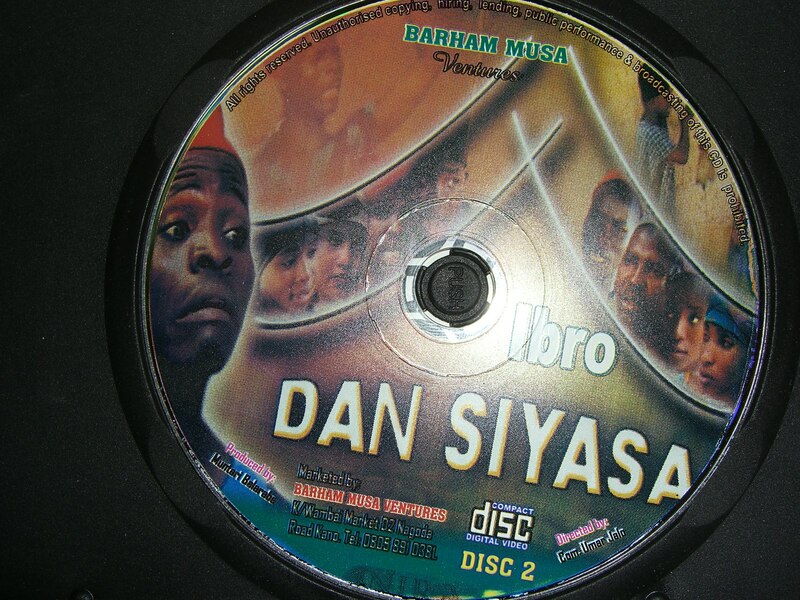 One night, I brought out my vcd of Ibro Dan Siyasa [Ibro Politician], and everyone, all crammed into our parlour, sat there laughing. Christians in Jos laughing at the Muslim Ibro’s comedy, in the midst of a religious/ethnic/political crisis. I thought, then, that there is a bridge here, this Kannywood, this comedy, there’s something here that goes beyond the bitter statements I’d heard from Christian refugees throughout the crisis. The same people who had cursed “the Hausa” and cursed “the Muslims” were laughing at ‘Dan Ibro. His comedy was bigger than fear and hatred and politics. So here are my own memories of Ibro. Like any fan, I have watched dozens of his films—playing in the background on Africa Magic Hausa as I would write in my room or in the little kiosk where I bought yoghurt and bread when I lived in Kano. I’d watch short comedy sketches excerpted from his longer films that musicians and filmmakers would show me on their phones in studios. Sometimes I’d peek over the shoulders of strangers in taxis giggling at an Ibro sketch on their phone. When a director and producer I did not know approached me on Zoo Road with the idea for Ibro Ya Auri Baturiya, I laughed and agreed without too much further thought. I liked the idea. I said I would do it, if I could get an interview with Ibro. The producer agreed. 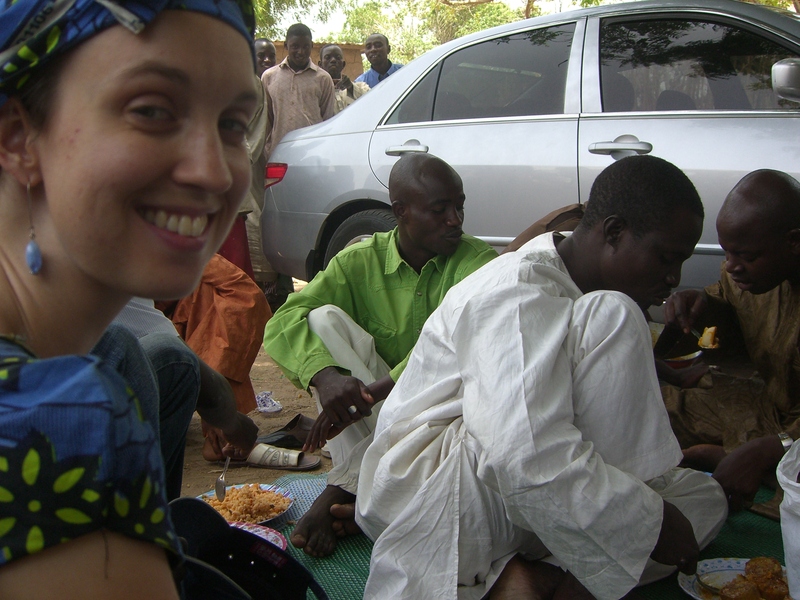 We arrived at a village a little bit outside of Dutse in Jigawa, and we ate lunch before starting to shoot. I was still too shy to talk to him, as you can see from the below photo of me grinning like an idiot while Ibro eats in the background. 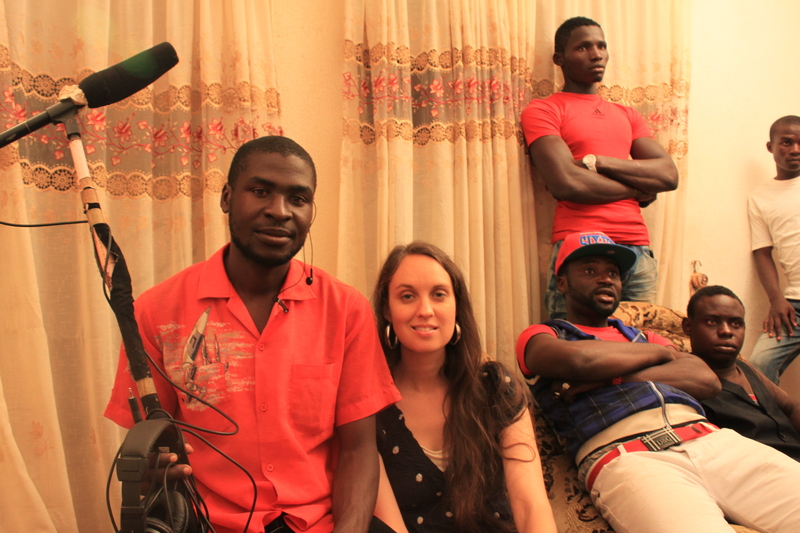 But the director fulfilled his part of the bargain, and we had a brief 6-7 minute interview. I tried to ask him about his ordeal the year before, at the hands of the Kano State Censorship Board. He didn’t want to talk about it. I got what I could. (I’ve transcribed the Hausa, though I haven’t yet translated it, and will post it later on this blog). Then it was time to act. 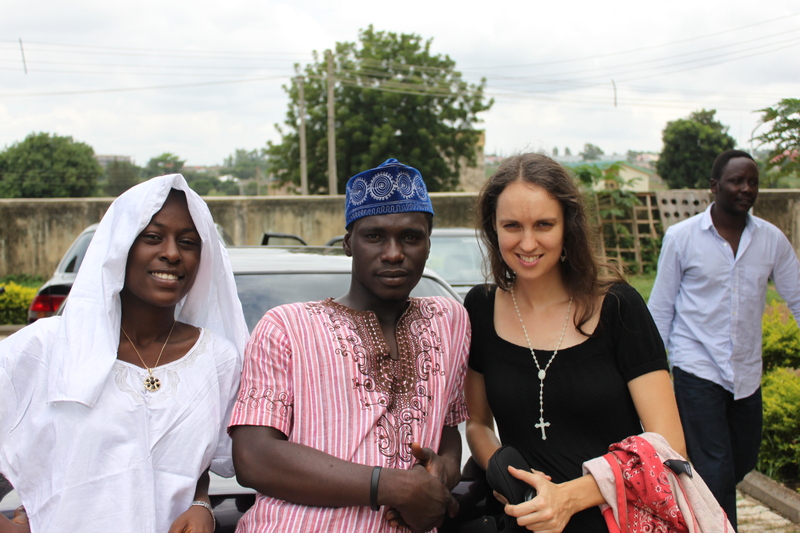 I was led to a small, borrowed room in someone’s compound and told to change into my “Western dress”. About a minute later, before I had a chance to smooth down my hair still flattened from my headtie, I was rushed out to do the first scene where I drag (my own) suitcase into the village with Ibro, asking him why we aren’t going to Abuja as he promised me. There was no script. At least none that I was given. 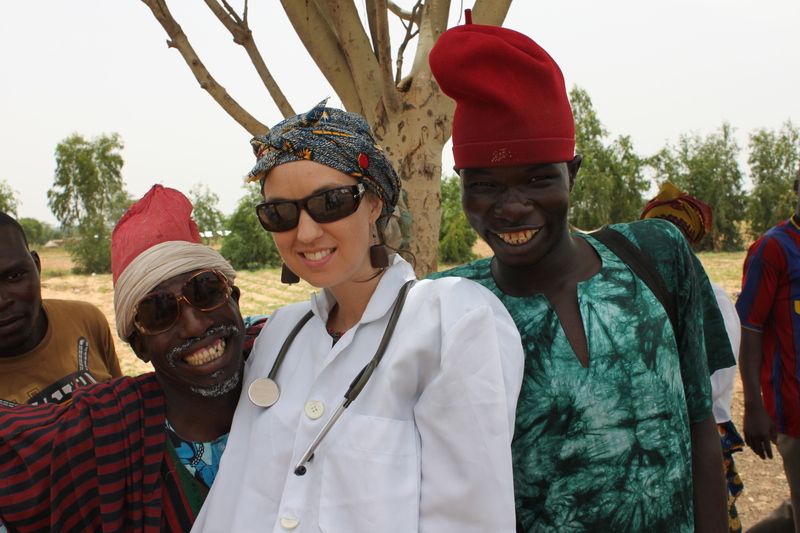 The director gave us a minute of instruction (I was to speak in English at first and later in broken Hausa), and we were off. Ibro is a brilliant comedian and knew exactly what to do. I just tried to keep up. That day, Ibro had somewhere else to be. I completed my scenes with him, a few more were cut, perhaps, and he rushed off to his next film. We continued with Baba Ari, ‘Dan Auta, and the others at a more leisurely pace. On set of Ibro Ya Auri Baturiya. Left to right. Director Muhammad Y. Muhammad, Baba Ari, me, Dan Auta, Producer Lawal D. Funtua. After production, I was embarrassed. I felt I had acted terribly. I felt like if produced differently it could have, perhaps, been funnier. I never mentioned the film on this blog and rarely elsewhere, because I didn’t want people to see me in it. But on the streets, people would call out “matan Ibro,” “matan Ibro.” People would jokingly ask me how my husband Ibro was. And so it was that “matan Ibro” became part of my public persona, even though I was still too shy to talk to him. 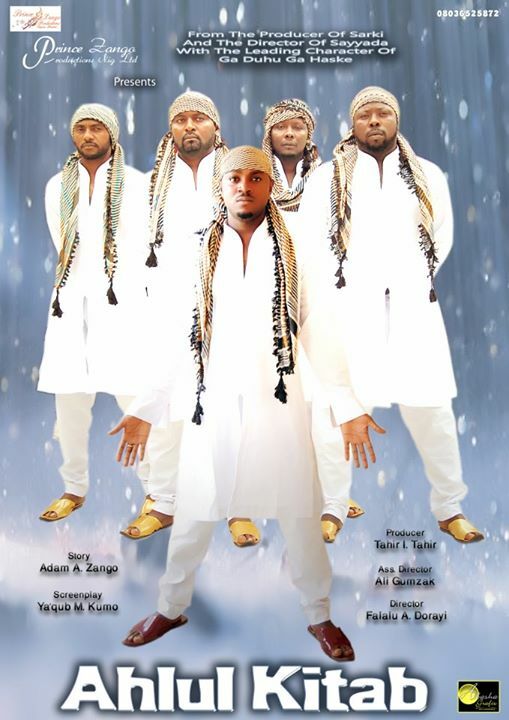 The original vcd cover for Ibro Ya Auri Baturiya. Eventually, I was able to overcome my embarrassment enough to watch parts 1 through 3 of the Ibro Ya Auri Baturiya and to look at it with enough distance to include an analysis of it in my PhD dissertation. I realized that it didn’t matter how I acted. It wasn’t about me. The baturiya was just a symbol to be played with and mocked—some of the funniest scenes were discussions of the baturiya, where I did not appear but which were made possible by my token appearance elsewhere: the baturiyar kwantainer, Ibro could not pass off to his friend once I became a nuisance because he claimed he had gotten me from a container, which could have come from Togo or Benin, rather than America; the baturiya whom Ibro really “made suffer” as people on the street would laugh to me. Ibro Ya Auri Baturiya was where I most connected with Rabilu Musa, but he had many more brilliant films. They weren’t usually polished, but they were usually hilarious and filled with sometimes biting political humour. The character of Ibro took on a life of his own. His voice often imitated by singers, including Sadi Sidi Sharifai, so that the character Ibro became disembodied from the actor himself. I mention him over 40 different times in my PhD thesis, and do an extended analysis of his film Kotun Ibro, a sly dig at the mobile court which persecuted so many filmmakers during the censorship crisis. 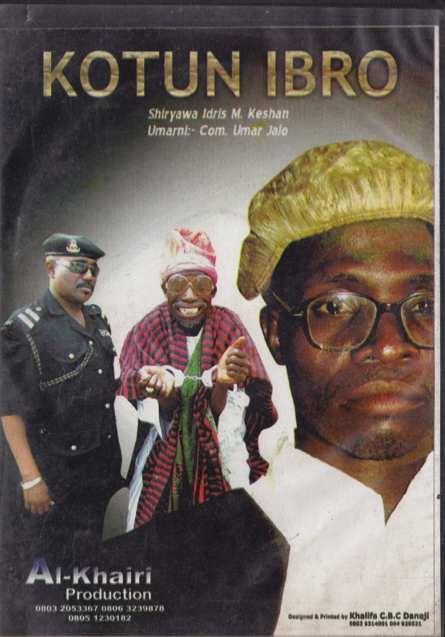 Ibro’s film Kotun Ibro poked fun at the mobile court that had arrested him. 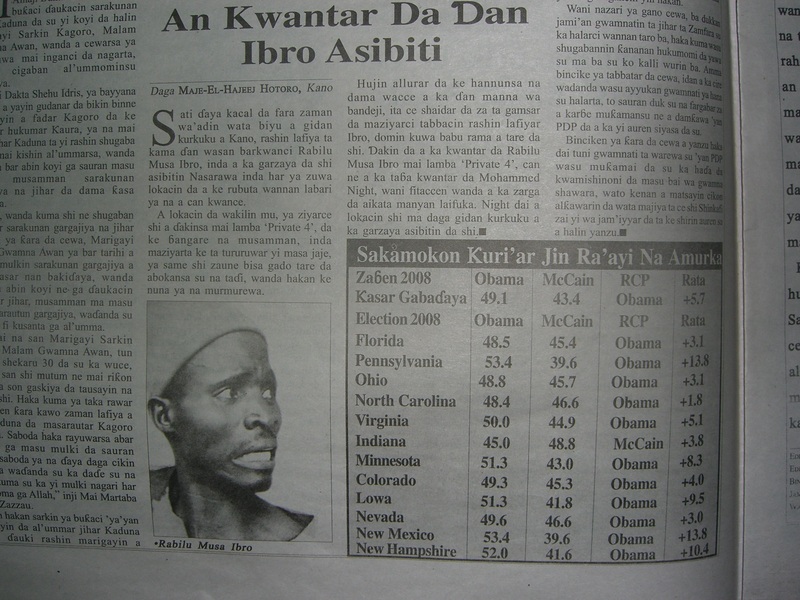 Dan Ibro was an institution. He has become an era. He will not act in any new films, but he will stay with us in a thousand different comedies. I heard his voice singing on the radio today, as a broadcaster mourned him. He brawls and weeps and shouts and complains and dances on a million different screens. We will keep laughing, even when, perhaps, we should be crying. Allah ya jikansa, Allah ya sa shi huta. Yaba mu hakurin wannan babban rashi. As I wrote this today, I saw the news of another bomb in Kano at the Kwari cloth market. Allah ya kiyaye mu. What a horrible day Kano has had. Sometimes it’s overwhelming to contemplate how many people from the Hausa film industry have died in the past few years. Here are my tributes to a few of them. I have not posted on this blog since January. I think that is the longest I have ever neglected it. But it was for a good cause. It enabled me to hole up in Madison, Wisconsin, to focus and finish writing my PhD dissertation on Hausa literature and film, which I defended about a month ago. I am hoping to finish my revisions in a week or so, submit to the university, and move on to the next thing. I am looking forward to what life brings. Hopefully that will mean resuming more regular blogging. Thank you to all of you, who have supported me and encouraged me during this long, grueling, depressing, yet also sometimes exhilarating process. I wrote more detailed thanks in my column last month and still more in the acknowledgements page of my dissertation itself. I am placing a hold on proquest for two years, so as to better my chances of getting a book contract, but I would be happy to email it to anyone interested, once I have the final draft submitted to the university. I will share more thoughts and photos as I have time. This may also be the last blog post I compose on my nearly 6 year old boxy red Dell, named Rudi. He has lived a good life but is now slowly dying. His sleek replacement is sitting in the next room waiting for a data transfer… and a name. 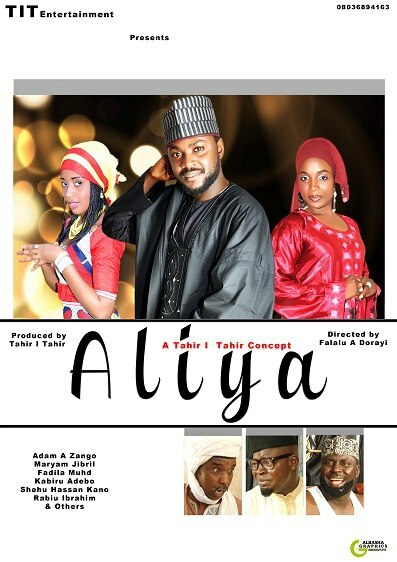 [Update 4 December 2013, here are a few more links to articles about the Kannywood Award night. My article “Kannywood Awards Seek Uplift and Unity,” in which I muse over Kannywood history and interview two of the organizers, Hamisu Lamido Iyantama and Ismail Afakallah. I will try to update this post with the winners after this weekend. 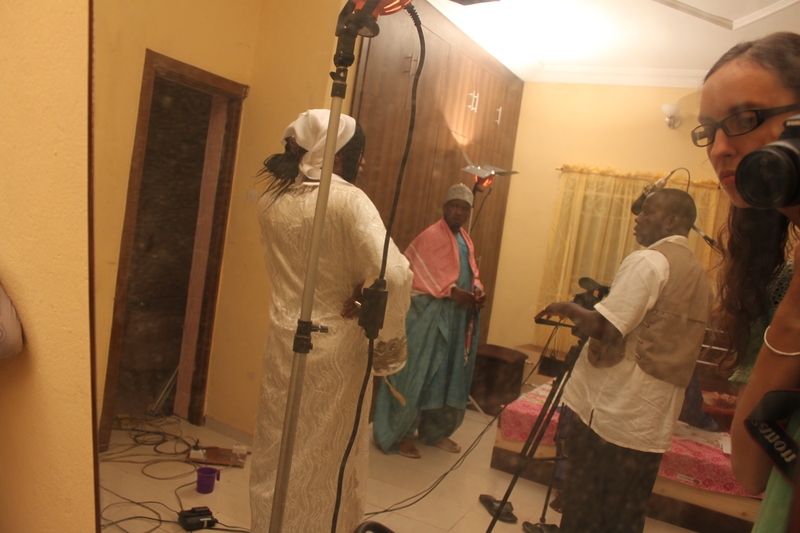 [UPDATE 24 November 2013, for a list of the winners, see Kannywood Scene’s list. If you scroll down, I will note the winner next to each nomination] In the meantime, scroll below for the list of nominations. KANNYWOOD AWARD 2013 is the first edition for “Arewa” music and movie industry (Kannywood) and is the largest gathering of Kannywood artistes, Technical crew, relevant individuals and groups. This is a must attend event for anyone with responsibility in the entertainment industry. 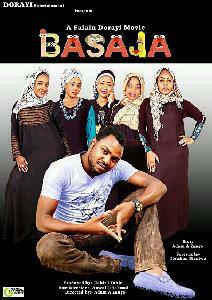 Attending this event is an excellent opportunity to promote Face of Kannywood. The “Paradigm Uplift and Unity” refers to a movement which seeks not only to implement and achieve this Kannywood Award show, but to advance Arewa cultural heritage by introducing innovative methodology, new thinking and changing the perception of existing outlook of Kannywood image. The event will feature gathering of Kannywood artistes, technical crew, who is who, yellow carpet, banquet, stage show and jamboree of special guests. In view of this and regarding your passion and contribution to the growth of the industry, we write to invite you to grace with your presence the occasion as Special Guest . The event is supported by MTN Nigeria. Thank you very for your usual understanding and cooperation . The Nominations, which I got from the organizers of the awards, are as follows. 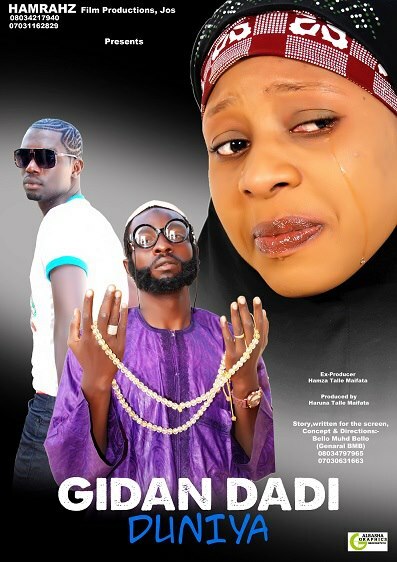 [UPDATE: I have filled in the winners with help from Kannywood Scene: Kannywood Scene also lists a few awards that were not on the original list: Zahraddeen Sani won the Best Supporting Actor for his performance in Fulani; Sani Danja recieved an Icon of Entertainment Award; Falalu Dorayi won the Golden Jury Award; and Alhaji Sani Zamfara and Rabi’u Haruna Al-Rahuz won an award for Best Marketers. 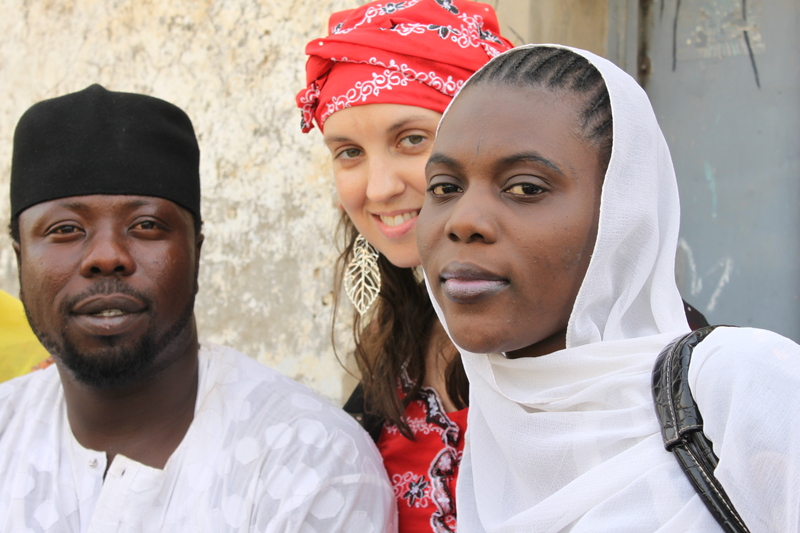 Unfortunately, the Kannywood Scene list left off a few of the awards that were on the original nomination list. I have also heard from other sources that (my former student!) Nomiis Gee won the award for Best Hausa Hiphop Rapper, Sadiq Salihu Abubakar won Kannywood’s Best R&B Artiste, Jos-based director and producer Sani Mu’azu won a lifetime achievement award, alongside Ibrahim Mandawari, Audu Kano Karkuzu, Samanja, and Hamisu Lamido Iyantama. Thanks to Masaud KanoRiders for a lot of this information.